It’s not always just clothes and handbags that we can refresh to update our personal look. For me, I’ve been exploring new glasses as I’ve had the same ones for over 4 years now! I currently have Ray Ban’s that I love, but they are a black, oversized frame that I feel now overpowers my face when I wear them. Fun fact: I wear my glasses primarily during the day at work since I use a computer and my contacts get dried out after staring at it for so long! So for me, I wanted to find a frame that fit my face and would transition well with all my outfits that I wear to work. 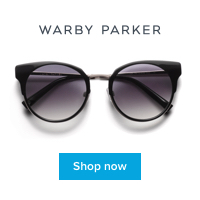 When I partnered with Warby Parker, I was so excited to learn about their at home try on program! How convenient is it to be able to shop from home!? I dread going to the eye doctor because A) I am really indecisive and hate being pressured to make a decision, and B) I feel so awkward just staring at myself in their little mirrors trying to commit to the right pair! I love that I was able to try on five different pairs at home and had five days to test them out before I had to send them back. What I love most about Warby Parker though is that when you buy a pair of glasses, they give a pair to those in need! They have so many fun styles and colors, it was hard to pick just five to try on! They were delivered to me quickly with easy instructions an a pre-paid label to send them back. I loved all five pairs, so I am still debating which pair to get. I might even get two pairs because they start at just $95 per pair! If you’ve been thinking about getting new glasses, you should definitely check out Warby Parker, I’m sure you’ll find a style (or five!) that you love and can try on at home risk free!